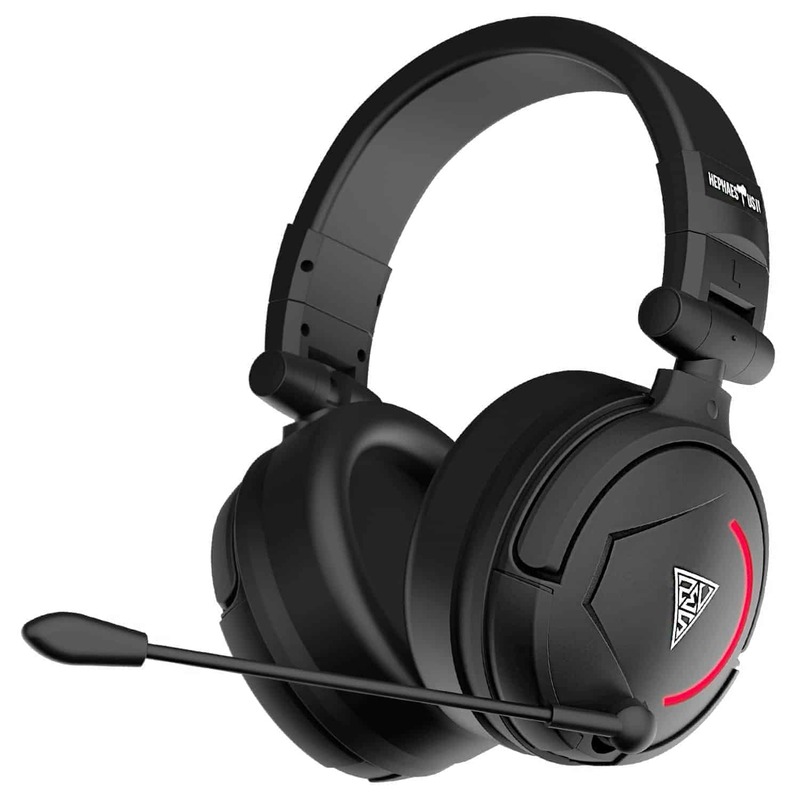 Bass Impact converts low freqency bass tones into pulses around the earpads letting you feel gaming vibes. 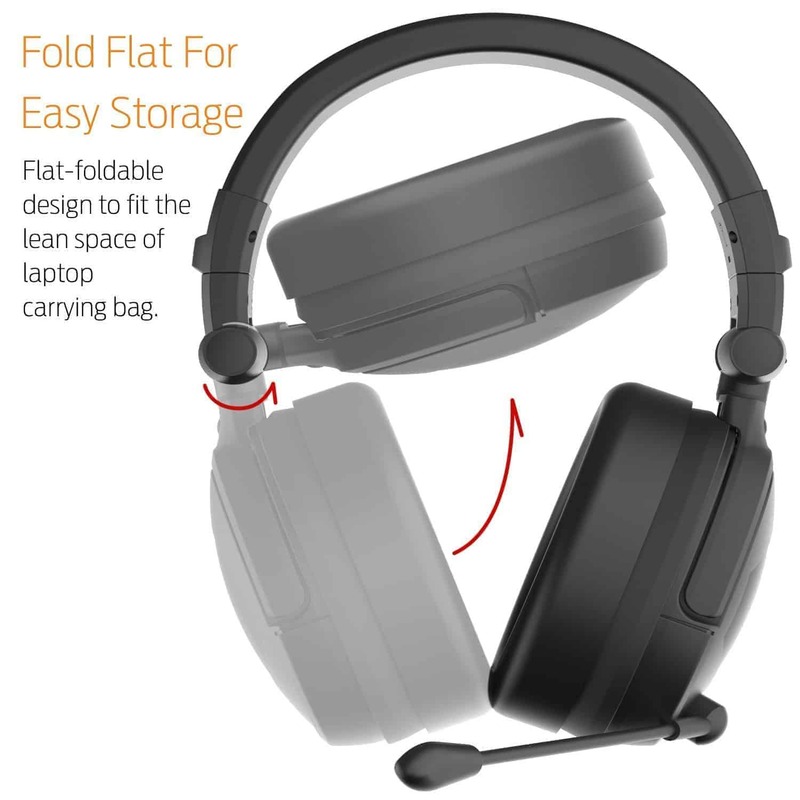 The Hephaestus v2 features a “Flat-foldable design to fit the lean space of laptop carrying bag,” as shown above. 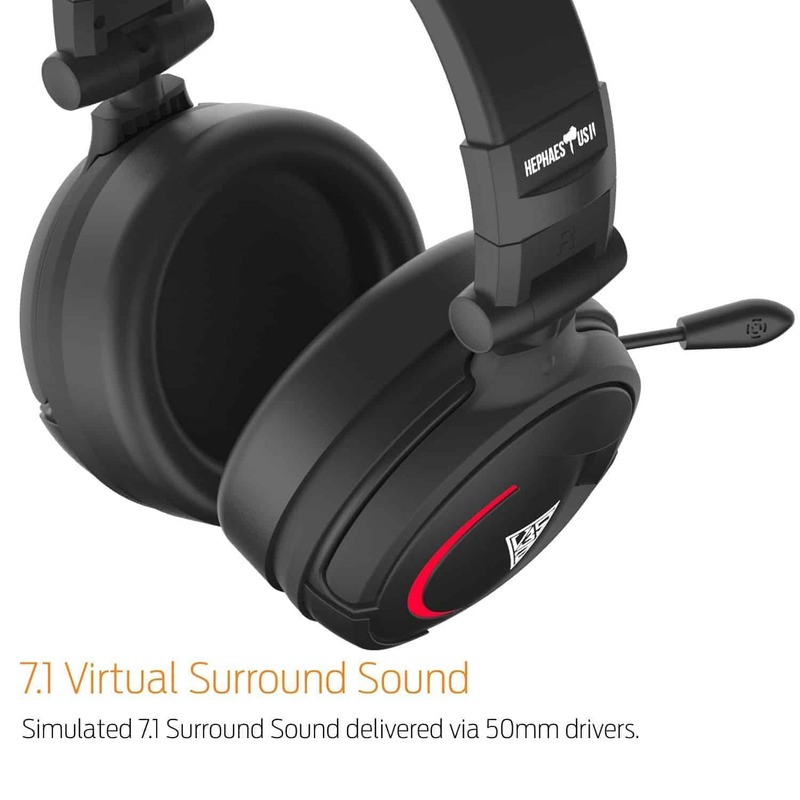 As demonstrated below, it can in fact by stored in multiple configurations to fit nearly anywhere, making it a perfect travel companion. 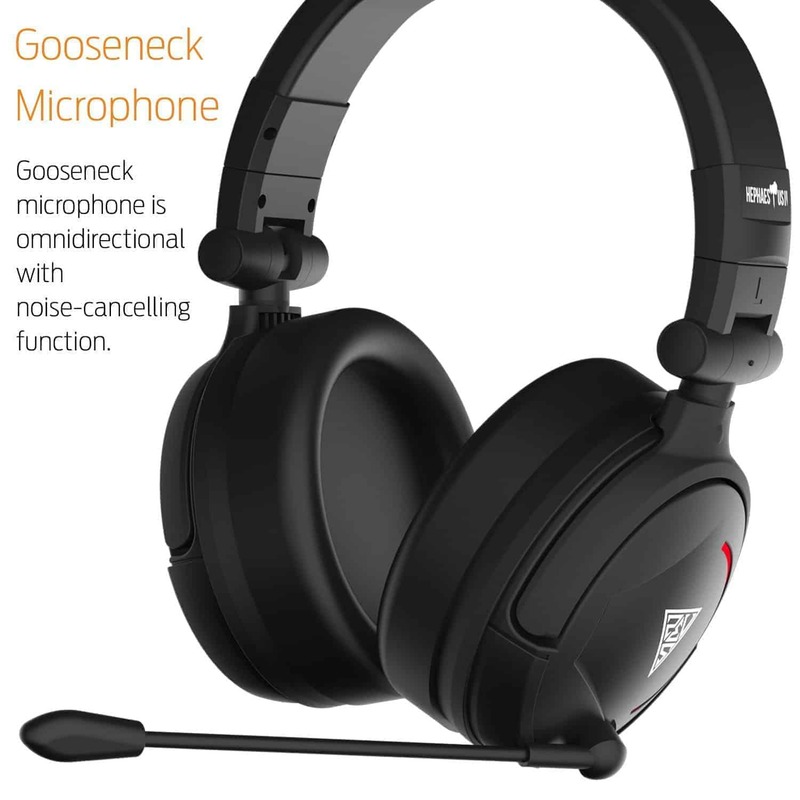 The omnidirectional microphone with noise-cancelling function can be adjusted to your preference. 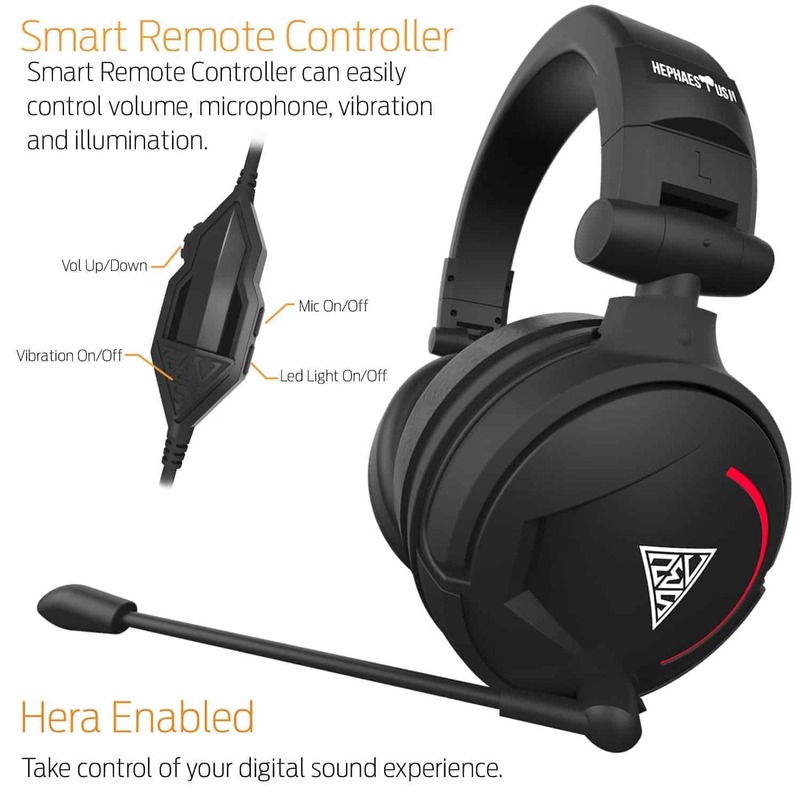 Smart Remote Controller can easily control volume, microphone, vibration and illumination. 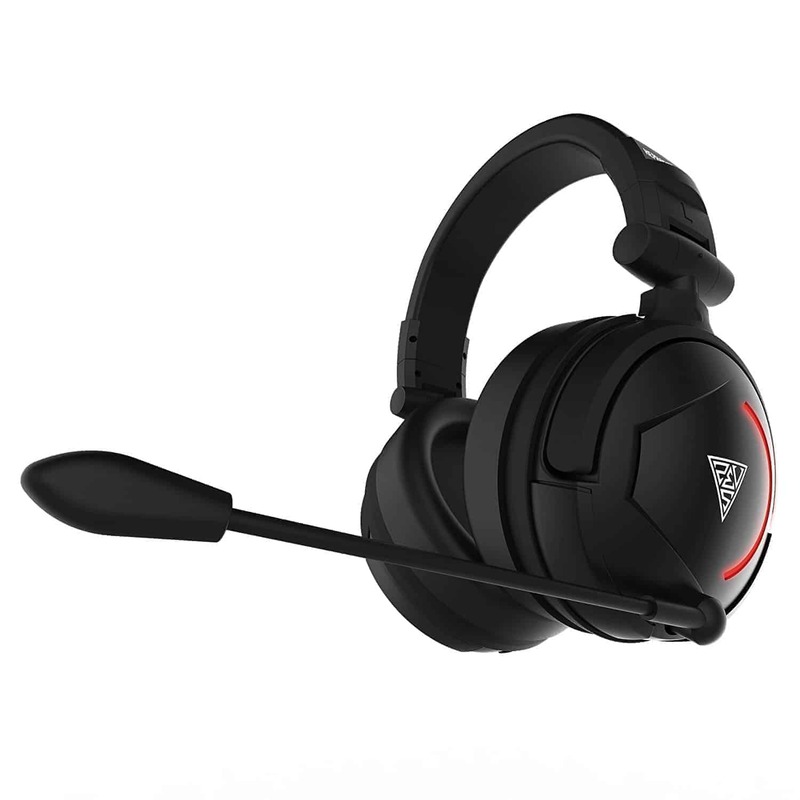 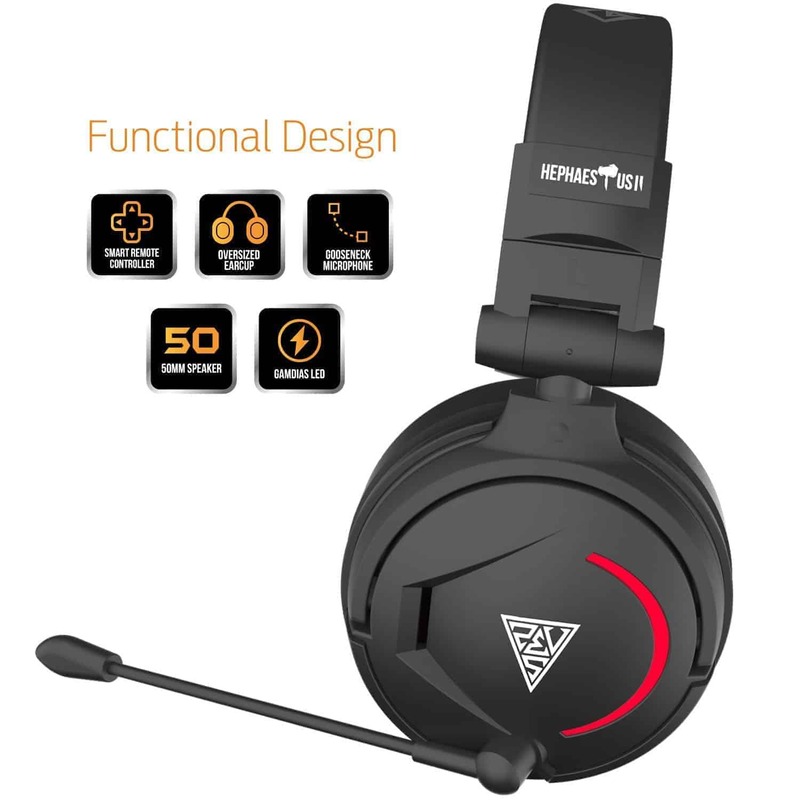 HEPHAESTUS V2 STEREO VIBRATION features high-Quality 50mm drivers- realistic sound effects and rich bass produced by 50mm drivers provide an amazing gaming experience.